I hate meal planning. Like… I avoid meal planning at all costs, but with keto, it's kind of hard to not plan. Planning your meals helps you to know what amount of carbs your eating, fats, and proteins too. So, I'm experimenting with a way to make a keto meal plan so I know exactly what I'm eating at each meal calorically. Because, meal planning shouldn't be hard, right? I mean it really shouldn't be that difficult. The level of difficulty probably would come into play with how many different meals you're wanting to make during the week. I try to keep things simple and have repeating meals. Get cracking and don't forget the keto snacks! Want to lose weight with keto? Introducing the Keto Freedom 14-Day Detox! There are many ways to create a meal plan, and you don't have to follow my way of doing things. I just want to offer you a way of planning out your meals so you can see how you're falling each day with your carb count. Your carb intake is probably the most important thing to track when you're starting keto. This is what you're limited in and trying to stay under. Protein and Fat are something you'll easily hit with practice. But, knowing what foods have what sort of carb content, in the beginning, makes life so much easier. All foods have a different makeup when it comes to their carb/protein/fat ratio. So, it becomes important that we look at what foods are higher in carb content than others so we can avoid the ones that are out of our range. For instance, things like potatoes, bread, pasta, rice, and even corn are high in carb content. Here's a post that talks about the different foods you can and can't eat. You want to plan your meals to contain lots of greens, lower carb foods and grab those from the store so you're not tempted by anything else. Keep a running list of snack options too. Check out this article for keto snack ideas. The best thing to do is to sit down and either think of meal options, find a meal plan that's already done, or think of meals you enjoy. 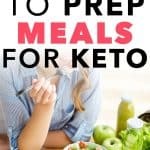 Any meals you think of that aren't keto can likely be converted to a keto meal (i.e. spaghetti with a spaghetti squash for noodles instead of pasta). Once you have a running list of ideas you can list those out and fill in the holes from there. Pinterest is a great place for keto meal ideas. And, the great thing about meals you find on Pinterest is that most times they already have the nutrition facts listed for the meal. No guessing or researching required! Just plug it into your meal plan with the numbers and y0u're good to go. I'm going to show you how I create my meal plan, and then give you another option that you might also consider. Then you have two choices. One is a bit more labor-intensive, but I feel it helps you better understand just how many grams of carbs you're eating at each meal and each day. You have to figure out your own macros to know what you need to eat each day. I love the Perfect Keto Macro Calculator. It's simple, elegant and easy to use. You can adjust your activity level easy enough so you get accurate macros for your activity level. Doing this step is helpful in keeping you at the perfect macro level. If you under eat you'll be hungry, and if you overeat you won't lose the weight you're wanting to lose. Or, on the flip side, if you're trying to gain weight and you're not eating enough or overeating it could affect your workouts. So, check out the Perfect Keto Macro Calculator and get your macros to use when making your meal plans! This is the first version and the one I'm swapping too. I love that I can write what meals consist of and then tally up what each meal contains nutrition wise. It helps me see it better and I can put it all in cronometer.com ahead of time and don't have to fool with it each meal. Basically, the concept behind this is pretty simple. You figure out what you're meals are and then put them into cronometer.com individually. That way you can easily get the calculations for each category. Below I have a breakdown of what a day could look like. I listed out what each meal consisted of and then tallied everything up. Your numbers might not look exactly the same as mine if you used different software or even chose different brands. This is just a rough idea of what it could look like with this version. Here is an alternative way to meal planning. You'll just fill in each meal and you can write in the total calculations for f/p/c underneath the meal contents. It might not look as pretty, but it's pretty similar. If you wanted to make it a little more elaborate and tally things under each day, you could just add another box and write in the totals. I'm not sure how it would look, but it might be your way of doing it. What I like to do is list out ingredients by meal. I list the exact quantities for each one. Then after I finish I'll combine like ingredients to consolidate the list and make it “prettier”. No sense in having avocado written on a list 3 times for 3 different measurements. Consolidating it all makes it easy. That way when you're shopping you can go through the store with ease. One other tip for your shopping list… write out your ingredients by what area of the store they're in or by ingredient type. For instance, veggies, meats, center aisles, milk & cheese, etc. Then, you aren't bouncing from place to place grabbing ingredients one at a time. You can batch grab ingredients while you're in that one area rather than visiting it multiple times. Believe me, when I don't do this it's like a mad dash around the store to get everything before I get angry at myself. Figure out what way is easiest for you and start planning! Your keto meal plan is going to be a big lifesaver. I'm hoping I get better at meal planning myself! I'll keep you updated though if I find better ways to create a meal plan that go a little faster ;). Starting keto can be daunting with all the information out there nowadays. But, I want to help you feel confident and encouraged for starting the keto diet. This detox is not your average ordinary detox. You won’t be told to eat boring foods, only drink liquids, survive on juices, or starve yourself to lose weight. No, that’s just crazy in my mind (I like to eat). So, what is that 14-day detox all about? 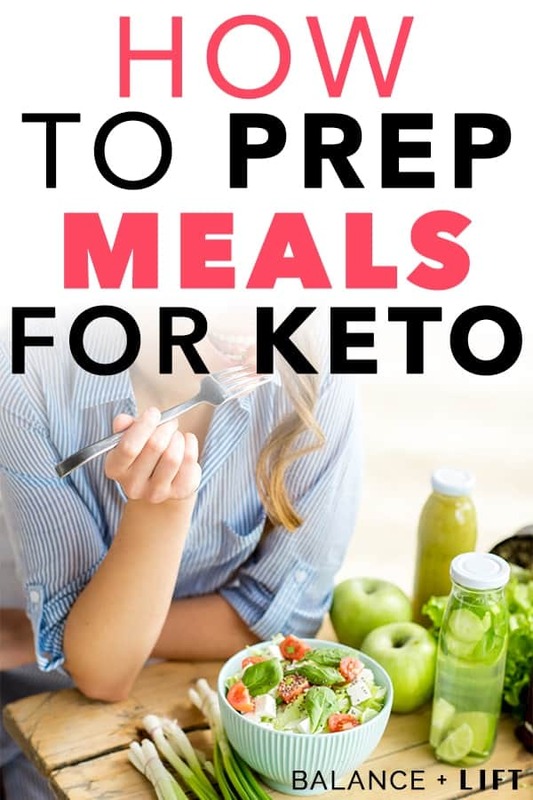 You’ll get a 40+ page guide to keto, 20 recipes, and two weeks of meal plans PLUS shopping lists are already done for you. Don’t worry, if you want to change it up, you totally can. I wanted to take the stress out of the first two weeks of being keto so you could focus on your journey rather than scrambling to find information and meals.